First time bowlers get first opportunity for C squad. Re-entries will be accepted based on qualifying scores (high to low) from previous squads. Walk-ins will not be allowed on Sunday unless spots are available, so first time bowlers wishing to compete on Sunday must sign up before the conclusion of B squad on Saturday. Eliminator Rounds: The top 1/6 from each squad will qualify for Eliminator rounds. Round of 17 or more bowlers will consist of 3-games total pinfall. Rounds of 16 or fewer bowlers will consist of 2-games total pinfall. Pins do not carry over from one round to the next. Prize Ratio: 1 in 4 entries will cash in this event. 39 bowlers would cash with 154 entries. 11th place and higher qualified for Elimination rounds. Nick Kokenos already qualified in squad A, so his score became a cash spot instead of a qualifying spot in this squad. * Top 8 bowlers advance to quarterfinal round. * Top 4 bowlers advance to semifinal round. 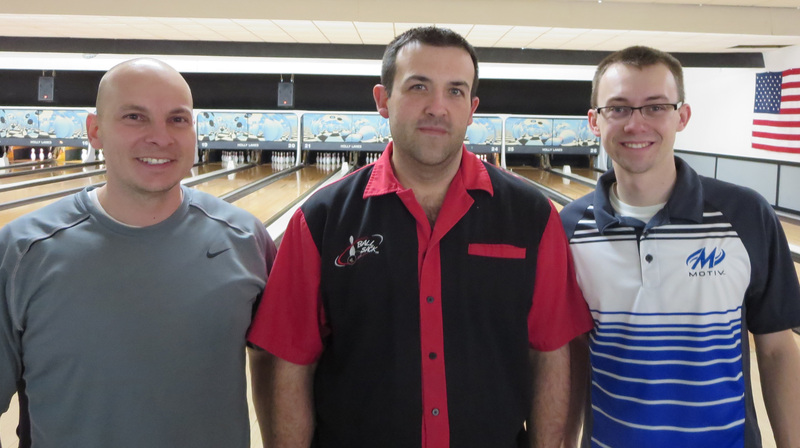 * Top 2 bowlers advance to final round.